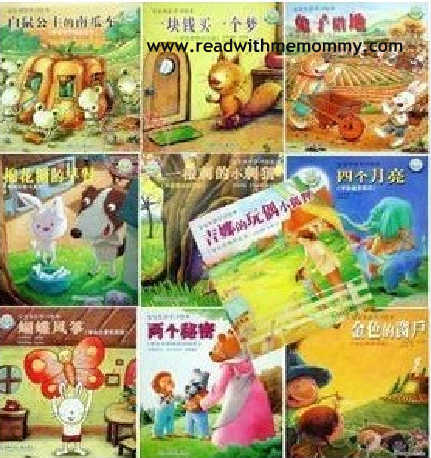 Children Learn Good Values 宝宝生活学习绘本 is a set of 10 books / set. 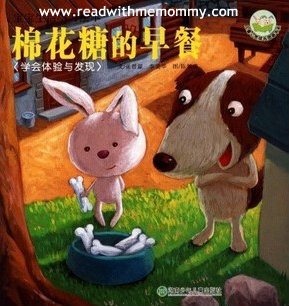 Each book tells a different story, with different animal characters to teach the little ones about good values to live by. 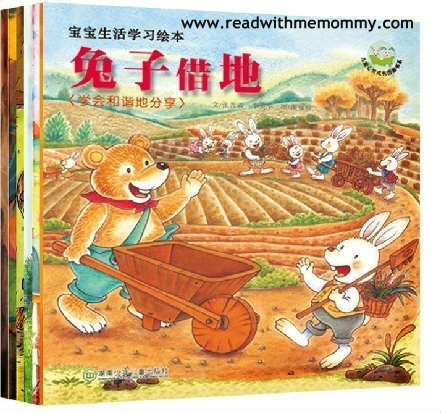 Each book comes with colourful illustrations and hanyu pinyin. At the end of each book, the author has included key learning point, 3 questions relating to the story that parents can use to discuss with their child after reading. For reading to the child, this set of books may suit children of 4 years up. 《吉娜的玩偶小狐狸：学会同情和给予》 Learn about compassion & giving. 《金色的窗户：学会爱家惜福》Learn to love our family. 《棉花糖的早餐：学会体验与发现》Learn to be curious and try out new things.